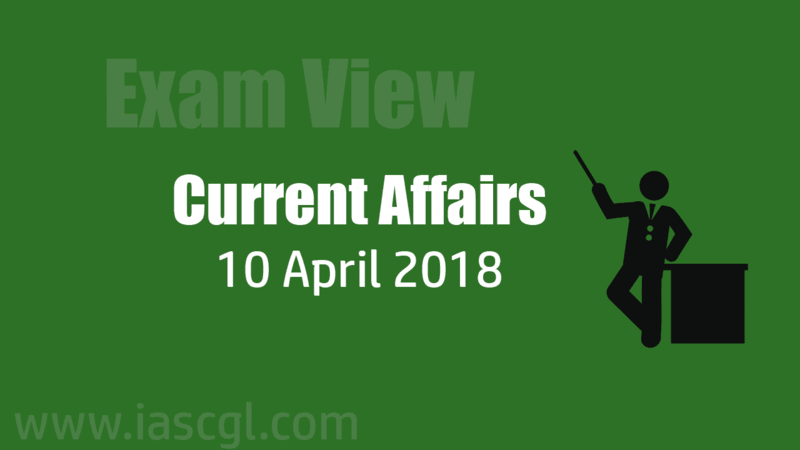 Current Affair of 10 April 2018, Exam View. Haryana state government will provide special benefits, including nutritional support, to tuberculosis patients in an effort to eliminate the infectious disease by 2025. Besides, free services would be provided to TB patients in government hospitals of Haryana, including sputum examination and X-Ray. For this, CBNAAT machines have been provided to all districts for accurate and quick diagnosis. The government of Maharashtra announced that cancer patients would be provided free chemotherapy treatment at district hospitals with the first phase of the plan starting in June. The over 50-acre Himalayan Mega Food Park Private Ltd has been set up at a cost of Rs 99.96 crore and will benefit around 25,000 farmers in this and neighboring districts, Ministry of Food Processing Industries said in a statement. The first Mega Food Park in the state, located at Haridwar, has already become operational. The park will provide direct and indirect employment to 5,000 persons and benefit about 25,000 farmers in the CPC and PPC catchment areas. The first meeting of newly constituted NITI Forum for North East was held in Agartala recently, to discuss ways to boost development projects in the states. 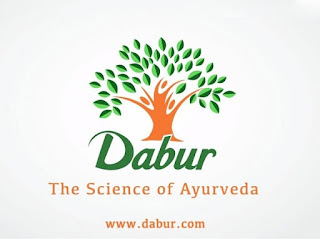 FMCG major Dabur India on Friday said it has completed acquisition of two South Africa-based companies — D&A Cosmetics Proprietary Ltd and Atlanta Body & Health Products Proprietary Ltd — through its subsidiary. The company had last year announced that it will acquire the two personal care products companies in South Africa for a total cash consideration of 50 million rands (about Rs 250 million). This is not Dabur's first acquisition in South Africa. In 2016, it had earlier acquired a South Africa-based Discaria Trading (PTY) Ltd. In a major development, the State Bank of Pakistan (SBP) has banned cryptocurrencies in the country(Pakistan). While the volume of trading remains on the lower side in Pakistan, Bitcoin’s phenomenal rise in value during 2017 has tempted many to open accounts with various exchanges and trade. In a circular issued on its(SBP) website, the central bank said that virtual currencies like Bitcoin, Litecoin, Pakcoin, OneCoin, DasCoin, Pay Diamond or Initial Coin Offerings (ICO) tokens are not legal tender, issued or guaranteed by the Pakistan government. The Forest department team has stumbled upon them across the sanctuary during their field visits as a part of the fauna survey that is in progress. The species have been identified as White-throated Kingfisher (Halcyon smyrnensis), Pied Kingfisher (Ceryle rudis), Black-capped Kingfisher (Halcyon pileate) and the Common Kingfisher(Alcedo atthis). “In India, it is learnt that 12 species can be sighted. The four sighted in the sanctuary are wetland dependents. The wetland ecosystem is the prime attraction for them,” says Sathiya Selvam, ornithologist and senior ccientist, Bombay Natural History Society. The conservation status of the four species is “least concern”. The birds are thriving as the sanctuary is an ideal habitation for prey. The hunting of the fish by them in the serene backwaters surrounded by the lush green mangrove cover is a moment to capture and witness. “In the world of Fishing Cat that also thrives in the sanctuary, documenting the hunting behavior of the kingfisher species is the most celebrated task. The birds appear in myriad colours,” Mr. Appa Rao told The Hindu. Comparatively, the birds could be sighted in good number than the green bee-eater. The wildlife authorities are producing a video documentary on the beauty of the sanctuary including the flora and fauna, highlighting the conservation methods including the mangrove restoration initiative. The survey on the fauna will help design a bird-voice responsive system proposed by the State Forest department. China is experimenting with a new low-cost weather modification system in a bid to increase rainfall on the Tibetan plateau. The Tibetan plateau, Asia’s largest freshwater reserve, feeds the continents biggest rivers including the Yellow River, Yangtze, Mekong, Salween and the Brahmaputra. As it is often called Asia’s ‘water tower’, the rivers serve as a lifeline for almost half the world’s population, flowing through India, Nepal, Laos and Myanmar and other countries. China intends on building a network of fuel-burning chambers in select locations across the plateau. The chambers will burn solid fuel to produce silver iodide, a cloud seeding agent. When the wind hits the chambers, it produces an upward draft and sends particles into the atmosphere to bring rain. The technology has been used by other countries, such as the US, China is attempting to implement it in a large-scale. There are already 500 burners reportedly deployed on the plateau for experimentation.